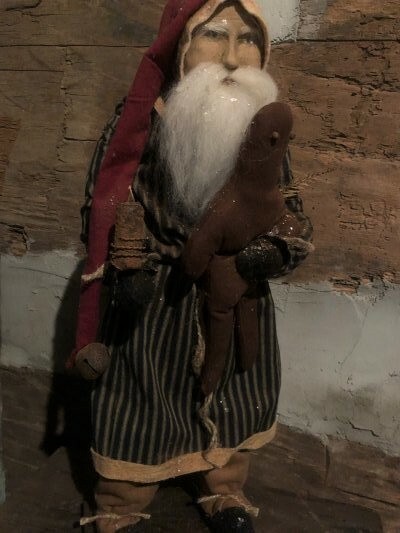 This Santa stands approx. 22" high and he is wearing a navy striped coat. He is holding a gingerbread man and candle. Arnett's Night Shirt Santa Navy Ticking Gown Holding Candle 19"